How does street food turn you into an empathetic citizen? The key is to understand what type of food we are talking about. While some vendors have waffles dripping with peanut butter and condensed milk, others have squid tentacles doused in barbecue sauce or cheese-filled beef balls that squirt when you take a bite. Moving indoors to the multicultural food courts of any shopping mall, children are exposed to new foods with foreign names like nasi goreng, bi bim bap, pho dac biet or daal chawal. But what does that have to do with being open-minded? Developing a multiethnic palette heightens children’s awareness of foods that are different from what they might normally eat at home, and cultivates an appreciation for things that would otherwise be labeled as grotesque, unappealing, or ‘other’. Research affirms this phenomenon as multilingual children readily embrace differences and are more likely to venture into another person’s shoes (or kitchen! )before casting judgment. Learning another language is one of those things that you often wish your parents had been more persistent about when you were a child. It’s like wishing they’d made you play an instrument or specialize in a sport. After all, hindsight is 20/20. Now that the tables have turned and you are thinking about how to raise children to speak a new language, chances are you will face the same challenges your parents did. Children are reluctant to speak a new language because it’s hard, it takes work, and more often than not, there’s no real purpose for speaking it. Drawing from principles in second language research, here are five tips to introduce a new language in your home. Languages aren’t learned overnight. Actively participate and try to incorporate the target language into daily routines so that children can practice and master them in specific contexts. In the target language, go through bedtime routines (e.g. brushing teeth, taking a shower, changing into PJs); use high frequency phrases like “what homework do you have today?” or “what would you like for a snack?” into your conversations (note: start with yes/no questions and then move to open-ended questions); sing a bedtime song or say a bedtime prayer; start and end conversations with children when you see them after school. The ultimate goal is for children to use the language in consistent and meaningful ways. Children learn languages by being immersed in print-rich environments. As children develop early literacy skills in both languages, label your household with vocabulary in both languages. This provides children with emergent reading and writing opportunities in each language, and also fosters an appreciation for bilingualism. Start by labelling rooms with common nouns. Once these are acquired, try verbs, then adjectives, and finally short phrases. Children can become motivated to learn new languages when they are interested in the content. Provide children with opportunities to explore topics that interest them in the target language. Take them to the library to borrow books of their choice, extend their computer time if they watch YouTube music videos in a specific language, or bring them to local restaurants to order ethnic foods and engage with native speakers of that language. Young kids want to be just like their parents, and they notice more than we ever give them credit for. When children see that you are learning a language, you model the importance of language learning and demonstrate how to approach challenges and frustrations. Pick up a new language and share in the daily discipline of learning vocabulary words. Work on your pronunciation and accent in front of your children and demonstrate how nerve-wracking but important it is to practice speaking with others. Do not underestimate the influence you have over your children. Helping a child learn a new language is no easy feat. It is a long process that requires years to master. While it is important to have high expectations of our children, we must also remember to set realistic expectations that reflect the stages in second language development. Measure a child’s success by indicators beyond just fluency. This could include vocabulary knowledge, reading or writing, confidence to speak or general interest in the language or culture. While native-like fluency is desirable, remember that most people fall short of this gold standard – and that’s ok. Recognize that children are on a path towards fluency and celebrate the many successes along the way. These five research-informed strategies are by no means exhaustive. If you have other tips that work in your household, please do share them below! Classrooms today are becoming increasingly diverse. 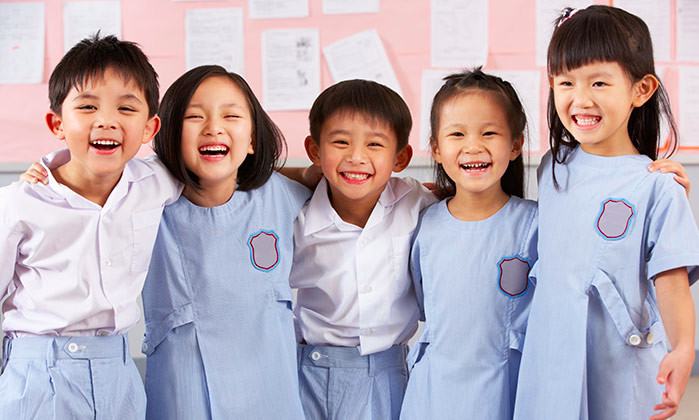 Children from various cultural and linguistic backgrounds bring so much color and depth to the classroom. But a number of challenges can also emerge when working with students who speak different languages. How do you address the needs of multilingual learners when they are developing emergent literacy skills in not one, but sometimes two, or three languages? How could you use multiple languages to help language learners make sense of what they’re reading? One effective strategy is called translanguaging. Translanguaging bridges the languages spoken at home with the linguistic demands of schools. More specifically, it allows students to use words from two linguistic repertoires to communicate effectively. One manifestation of this might be a student who uses Spanish in one sentence and English in another, or one who blends the two languages together within a single sentence. Blending languages together is, after all, what people from naturally bilingual households do. Thus, allowing children to draw from these natural linguistic resources has the opportunity to engage students in the learning process as they wrestle with new knowledge. So what does this look like in the classroom? This article highlights three critical considerations drawn from the “Translanguaging: Guide for Educators” published by the City University of New York. These recommendations, used in part or in whole, are sure to benefit our bilingual learners as they make them feel both valued and included. An essential component of translanguaging is that students from linguistically diverse backgrounds have access to multilingual texts. These texts could be stories that come in multiple translations, texts with both languages on the same page, or books that are written by authors from culturally diverse backgrounds. Research shows that using multilingual texts help build language learners’ background knowledge, and simultaneously support home language literacy development. In addition, children feel more confident because these books validate their linguistic and cultural identity. Putting theory into practice, here are a few suggestions on how to use multilingual texts in your classroom. Break down the reading process for children. Take into account the linguistic demands of a reading task, and have students first read the text in their home language so they can become familiar with key vocabulary words and content. Then, ask students to read the passage in English at school to reinforce concepts and facilitate language transfer. After reading, have students engage in conversations about the text, allowing them to speak in any language they choose. This allows students to share precisely about their favorite part of the story, about how the story relates to their own experience, or about what they would do differently if they were the main character. The purpose is for students to interact with and make meaning of the text. Finally, when students share ideas with the class, ask them to speak in English (telling them beforehand, of course!). Now that they have formulated their arguments, they will be able to focus on how to accurately express themselves in their second language. Allowing students to use the (often blended) languages that they speak at home in the classroom will, at first, feel strange to them. Shouldn’t the language of school be English only? While many teachers do not discourage students from using their home language in class, they also do not explicitly encourage it. Make the classroom an environment that embraces multilingualism. Let students know that their languages are welcome, and that they are important for learning a second language. To cultivate this, use multilingual posters, books, signs and student work on the walls. React positively to students who ask for help in a different language. Allow students to translate for each other. Discuss with the class why being multilingual is an asset in today’s society. Where do you hear people speaking different languages? Do you think it is useful to speak more than one language? Do you know of any famous people who can speak more than one language? When do you think they use their languages? Why do you think being bilingual helps them? In class, do you think it’s ok for your classmates to use the language they speak at home? Why or why not? Engaging children in conversations that question the power and privilege ascribed to particular languages stops them from defining themselves (and their languages) as second class, and shows them what is truly powerful and truly a privilege — being bilingual. Raising children to speak two languages is no easy feat. Parents often find themselves enrolling children in language immersion programs, exposing them to different languages at home, encouraging them watch cartoons in another language, and sometimes even hiring language tutors or nannies to speak to their kids in foreign languages. But does this process need to be so hard? All we want is for our kids to become bilingual. While many parents might define bilingualism as a person who can speak two languages with native-like fluency, this ‘gold standard’ is often unreasonable and unattainable. Bilingualism exists on a continuum, where a speaker has varying levels of linguistic proficiency in a first language and a second language. The following article seeks to uncover a nuanced understanding of what it means to be bilingual, in hopes of breaking down the seemingly daunting task of raising bilingual children. A receptive bilingual is someone who has native-fluency in one language, and can understand but not speak a second language. Many second-generation immigrant populations in the United States are receptive bilinguals, where they understand the mother tongue used by their parents, but respond to their parents in English – the language of school and society. While many are quick to categorize receptive bilinguals as monolingual, the reality is they belong on the bilingual spectrum. With an astute awareness of linguistic diversity (e.g., distinguishing in Cantonese between “唔該” thank you or excuse me, and “多謝” thank you for a gift); and with an appreciation for the sociocultural idiosyncrasies that are embedded within a language (e.g., using “你食咗飯未啊？” Have you eaten yet?, as a greeting), receptive bilingual speakers are far different from children who speak one language and understand one culture. With America becoming increasingly diverse, it is imperative that we become a society with more receptive bilinguals. A dominant bilingual is a person who is more proficient in one of two languages. These speakers tend to have native fluency in language one, with elementary to average proficiency in language two. This category might include people who develop a decent command of a foreign language in school or living abroad. It might also include people in the workplace, who gain notable proficiency in their second language within a specific domain (e.g., politics, education, fashion, or business). In these contexts, people accumulate essential work-related vocabulary, phrases, and cultural mannerisms to work in their second language. While society often illegitimizes the linguistic prowess of dominant bilinguals, or believes that they need to work harder to attain native-like fluency in their second language before it can be considered a ‘second language’, the reality is that they, too, are a far cry from being monolingual, and deserve a place on the bilingual continuum. A balanced bilingual is a person who is equally proficient in language one and two, but does not necessarily pass for a native speaker in either language. This might occur among populations who are immersed in two languages but are not equipped with a strong literacy foundation in either. It may also occur among children who move from country to country, adapting well from one linguistic environment to the next. Balanced bilinguals have a commendable repertoire of languages, but are unfortunately subject to criticism for their lack of native-like fluency in any language. Like the receptive and dominant bilingual speakers, balanced bilinguals are assets in today’s globalized economy as they navigate cross-cultural differences and bridge linguistic divides. Speakers who are equilingual speak two languages with native-like fluency. In other words, they are indistinguishable from native speakers of either language. This is the strictest form of bilingualism, which is considered by many as the gold standard. While being an equilingual speaker reaps obvious benefits, the reality is that perfect bilingualism is often an unattainable and unreasonable expectation, as perfection is an unfair bar to hold a child to. In addition, parents may feel paralyzed by the burden of raising perfectly bilingual children. Therefore, revisiting what it really means to become bilingual – that is, to be placed on the bilingual spectrum, frees us from striving for flawless fluency, and enables us to instill bilingualism as a norm in this next generation. “Someone who is trilingual speaks three languages. Someone who is bilingual speaks two languages. Let’s not make that joke a reality. Reconsider what it means to be bilingual, and strive together for an intercultural, multilingual nation.